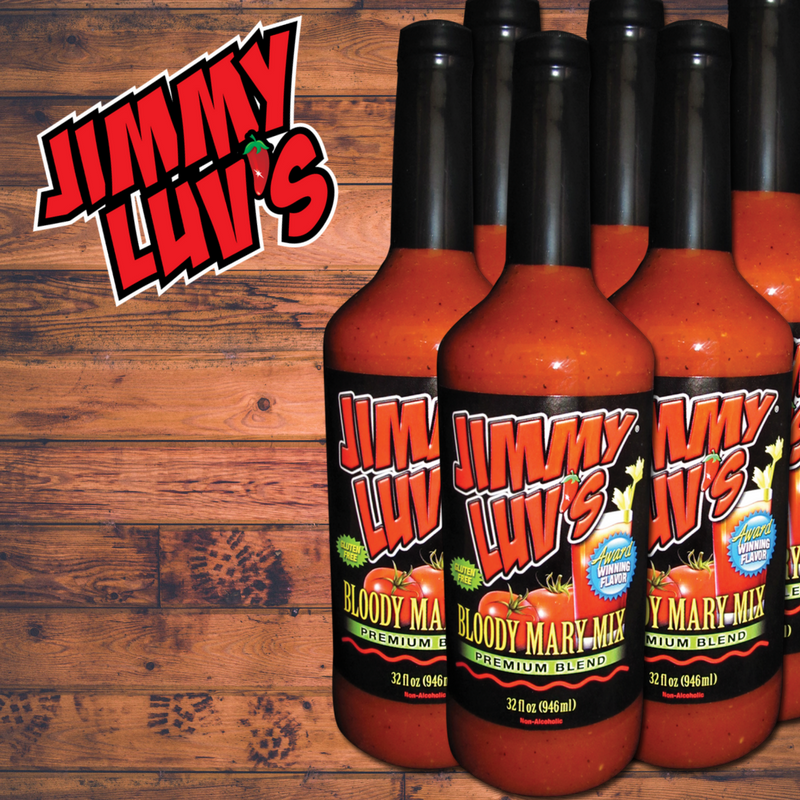 Award Winning Taste – As evidenced by awards in all of the national competitions, with Jimmy Luv’s® Original Blend and the burnin luv heat of Jimmy Luv’s® Sneaky Hot, these are two bloody mary mixes you’ll never have to “doctor up” with other spices! For a summary, please see our Awards page (click here). Quality – Jimmy Luv’s® Bloody Mary Mix uses the finest, freshest, naturally sourced, premium ingredients, with no artificial flavors and it’s gluten free! Shelf Stable – Jimmy Luv’s® Bloody Mary Mix has an 24-month shelf-life (unopened) and 6-8 weeks after being opened and refrigerated. Cost Effective/Consistent – Labor costs required by bar/kitchen staff to make a house bloody mary mix are eliminated. Inventories of tomato juice, spices, horseradish and other necessary ingredients are no longer needed. 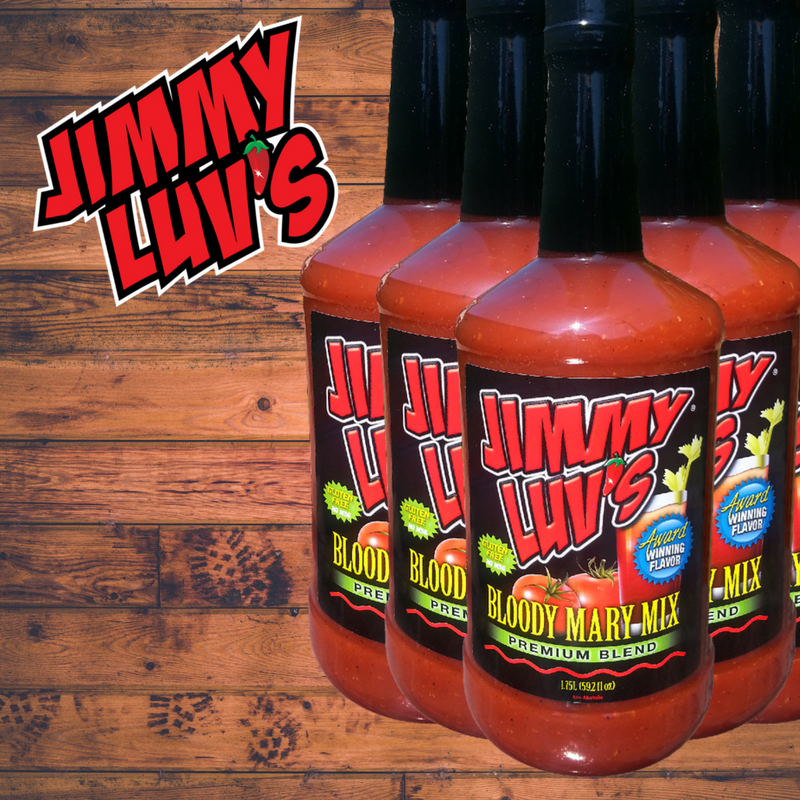 With Jimmy Luv’s® Bloody Mary Mix, your mix is consistent from week-to-week, and creates loyal customers. 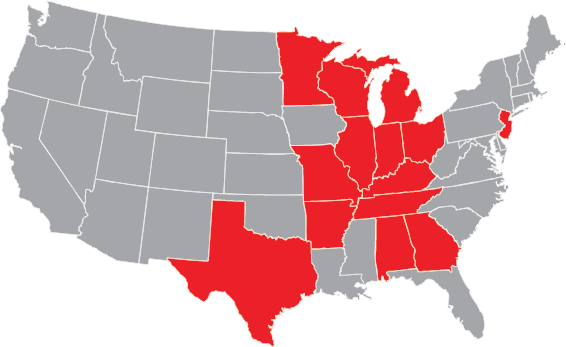 Variety – People not only use Jimmy Luv’s® Bloody Mary Mix for cocktails, but in cooking applications as well. Chili, Burgers, Meatballs, Jambalaya, Meatloaf, Sloppy Joe’s, Marinade, you name it! Restaurants and consumers alike are finding new ways to use Jimmy Luv’s® Bloody Mary Mix. 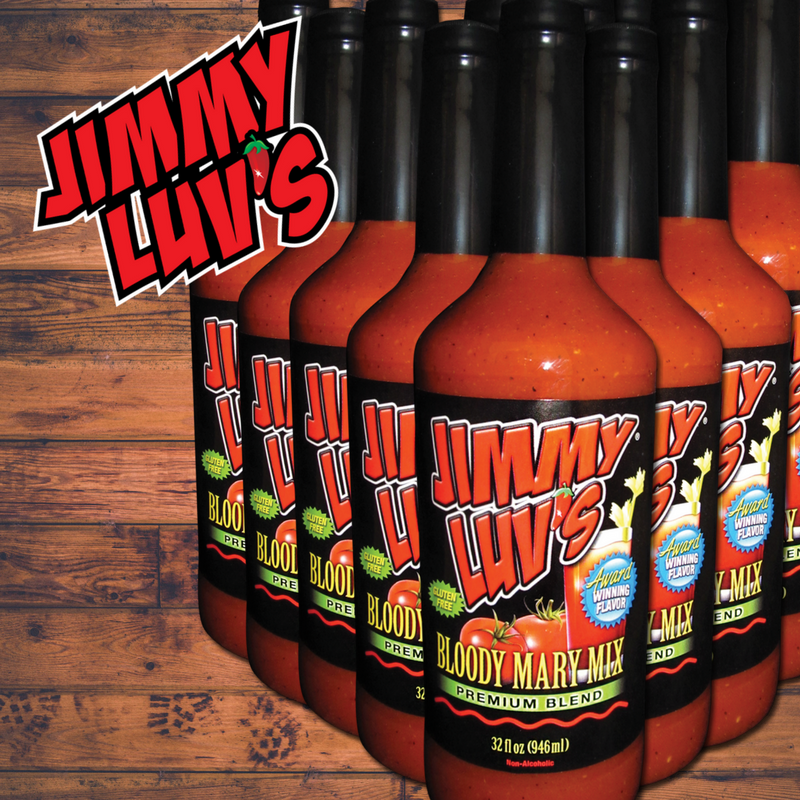 Want to retail or distribute the Jimmy Luv’s Bloody Mary Mix products? 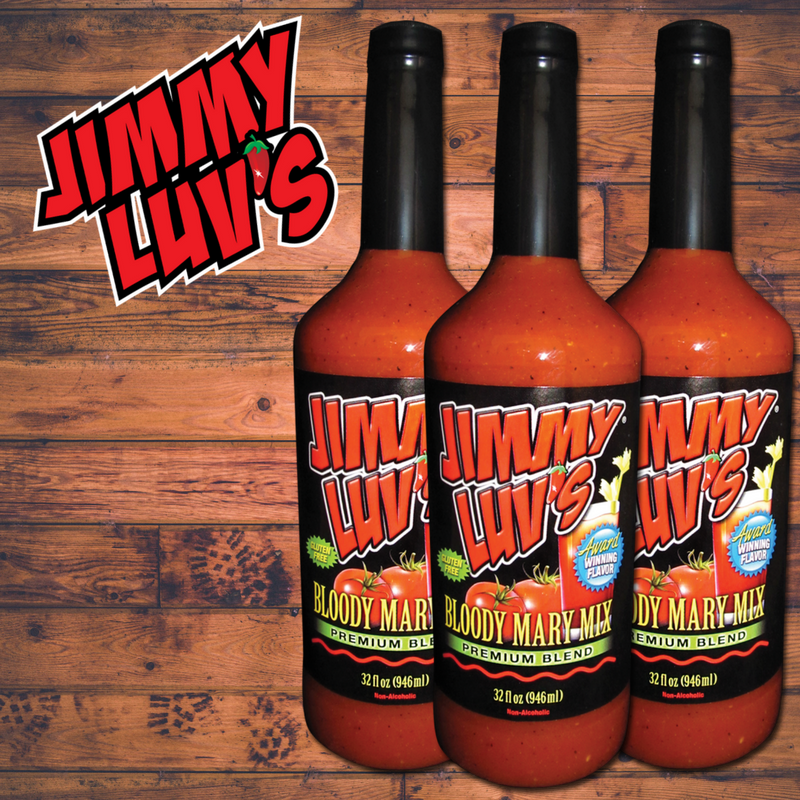 If you are a retailer or wholesaler interested in stocking or distributing Jimmy Luv’s Bloody Mary Mix, please e-mail us at jimmyluv@sbcglobal.net. We welcome your inquiry and look forward to discussing the opportunity.